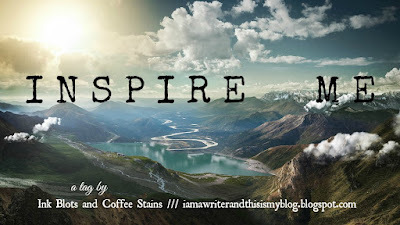 #1: What is one of the most inspiring things to you? Hmm. This is a tough one, actually. Would it be weird to say “dreaming”? Because I get some awesome story ideas from my dreams. Reading is also a good one. But mostly dreaming. #2: Where do you look for inspiration? Pinterest. Their prompts and character inspiration pins almost always get me writing. #3: When and where does inspiration tend to hit you? Anywhere it’s inconvenient. In bed, in the car, anywhere I can’t write anything down. #4: What’s the first thing you do when inspiration strikes? First I marvel at this amazing idea (which is usually not as amazing as it seems), and then I scurry to find something to write it on. Unless I’m somewhere I can’t, in which case I repeat it over and over and over in my head until I get to a point where I can write it down. And usually one idea spawns another and I write all of it down. #5: What’s the most inspiring book/song/website/etc., you’ve found? Any soundtrack music is good. Or anything instrumental at all. There are so many books that I’ve found inspiring that I couldn’t possibly pick just one. #6: What’s one piece of advice you would give to people struggling for inspiration? Aw I loved reading this! And I totally sympathize with getting all the ideas when you can’t write them down UGH. *pats* The struggle is real, man.